Tucked away on a street that many drive by but never through is this White Water View Custom Home. It sets the standard as a hybrid of French-Modern and Beach-Chic style. With timeless elements of both Traditional and Transitional, it is located just 2 blocks from the Sand and in the heart of Downtown Manhattan Beach. This residence features 3 large bedroom suites with tall-approximate 8'+ door heights-9'+ ceilings, three-stop dumbwaiter, upgraded appliances including but not limited to: Viking Range, Hood and Convection Oven, Electrolux Refrigerator and Washing Machine, Bosch Dishwasher, new white Kohler Dual Sided Farmhouse Sink, Bright white kitchen with white custom cabinets, large kitchen island wrapped with a touch of beach-chic wainscoting, all oil rubbed bronze Newport Brass cup-pull, Upgraded Nutone Camera Door System, Surround sound indoor and outdoor and more... To literally top it off, there is newly installed French Encaustic Tile on the large southwest facing sunny ocean view balcony which offers a vast ocean view, Catalina and the Palos Verdes Peninsula where you can revel every Thursday afternoon as the Sailing Regatta takes place. Lot Size: 0.03 Acres / 1352 Sq. Ft.
SchoolsClick map icons below to view information for schools near 228 9th Place Manhattan Beach, CA 90266. Listing provided courtesy of John Corrales, Coldwell Banker. Home for sale at 228 9th Place Manhattan Beach, CA 90266. Description: The property at 228 9th Place Manhattan Beach, CA 90266 in the subdivision with the MLS# SB19029097 is currently listed for $2,819,000 and has been on the market for 71 days. 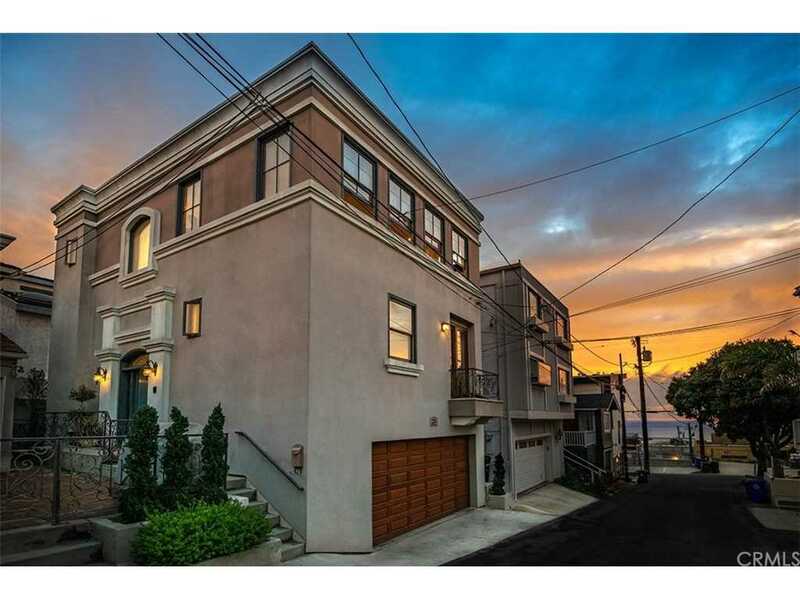 You are viewing the CRMLS listing details of the home for sale at 228 9th Place Manhattan Beach, CA 90266, which features 3 bedrooms and 4 bathrooms, and 1832 sq.ft. of living area.